It is not known why some women are more likely to develop gestational diabetes than others. Part of the issue may stem from the hormonal changes created by pregnancy. Some of the key hormones generated by the reproductive system can have the unwanted side-effect of blocking insulin. Age: Women over age 25 are more likely to suffer from gestational diabetes. Genetics: Having diabetes run in the family – gestational or otherwise – can contribute as well. Weight: Being overweight is one of the strongest gestational diabetes risks. It’s important to maintain healthy eating and exercise throughout pregnancy. Gestational diabetes can seem frightening or confusing, but many different treatment plans are available. 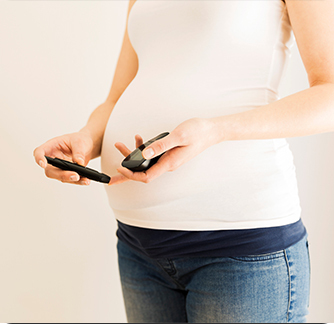 Request more information about gestational diabetes today: call (949) 829-5500 or request an appointment online.